Published on September 24, 2009 in Bands/Artists, Downloads and Music. 0 Comments Tags: download, King Britt, mp3, remix, Sweet Suite, wendy & lisa, Wendy and Lisa, white flags of Winter chimneys. The fine folks in the Wendy & Lisa camp are giving away a remix of my favorite track on the new White Flags of Winter Chimneys album “Sweet Suite.” Done by the Philly DJ/Producer King Britt. The 9:57 track reimagines the stripped-down, dreamy, slightly melancholy track that I think could have sat alongside tracks on Parade into a downtempo electro number. On the album, “Sweet Suite” has a bit of a reprise of “Balloon” as a way to tie off the album tidily. This remix spends no time in the reprise, but breaks down the main theme in a very different light. The track was debuted on the 9/4 episode of Girl Bros. Radio at Luxuria Music at which point I found out that the track would be made available, and here it is! According to the e-mail that was sent out today this is part of a White Flags of Winter Chimneys Remix Album they are working on! Very, very cool! (vinyl, please!). The cost of the mp3 is your e-mail address, which is pretty cheap these days, really. 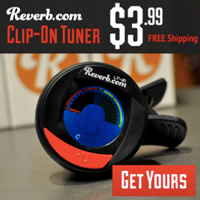 Click Here to find out how to get the mp3! Published on August 12, 2009 in Bands/Artists, Interview, Media, Music and Reviews. 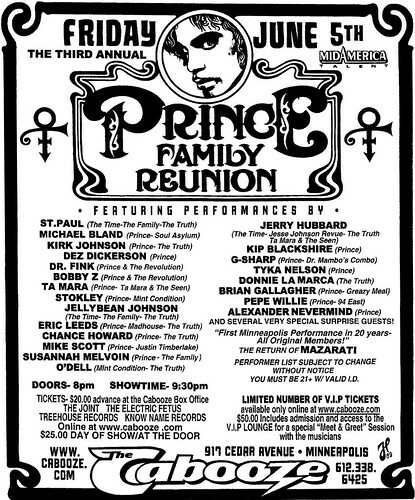 1 Comment Tags: amazon.com, fan, independent, Lisa, Prince, Salt & Cherries (MC5), self-released, video, Wendy, wendy & lisa, white flags of Winter chimneys. One of the great records of this year for me is the new Wendy & Lisa joint White Flags of Winter Chimneys. It is a self-released record, and the promotion and distribution is handled by their little-but-mighty camp. Talking with them earlier this year I could get the sense that this release and their truly-independent approach to managing their careers was going to be a developing blueprint that other acts could look to for inspiration. They twitter, they blog, they podcast, they Facebook, they Amazon.com. Today they released the video to the rawking “Salt & Cherries (MC5)” which features Wendy & Lisa in a live setting interspersed with fans lip-synching to the song. They asked for submissions from fans and they apparently got some really creative results! Published on January 23, 2009 in Bands/Artists, Downloads, Media, Music, Retail, Reviews, Television and Vinyl. 0 Comments Tags: download, flac, mp3, new album, Vinyl, wendy & lisa, white flags of Winter chimneys. 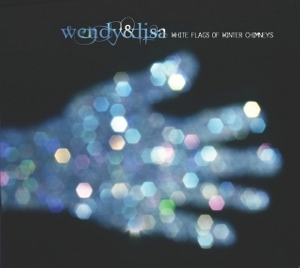 From now until March 2009 Wendy & Lisa’s website has an exclusive digital download of the new album in various formats. After that it will be available via your favorite digital outlets like iTunes, Amazon and Rhapsody. The reason you should order it now is that you have more options for how you want to receive the album. For $9.99 you can get a 320 Kbps mp3 download of the album with digital artwork and bonus tracks. The highest bitrates you’d be able to get from iTunes, Amazon and Rhapsody is a respectable 256Kbps. You also have the option of getting the album delivered in lossless FLAC (Free Lossless Audio Compression) format if you don’t want compression for $9.99 as well. This is a deal since a lot of places that provide lossless downloads charge a couple of bucks more for it. This download has five bonus tracks, too. One is a home demo of the sweeping “Niagra Falls” track from White Flags. The other four tracks are home demos from the 1990’s. As if that wasn’t enough, you can also order the CD version for $12.99 (+ $3.00 shipping) which you can choose to get 320Kbps mp3’s or FLAC. The CD comes in a 6-panel Digipack. For the audiophile fans or collectors of Wendy & Lisa there is a Deluxe package which gives you an 180g vinyl pressing of White Flags done in nifty splatter-blue vinyl plus you get the CD and your choice of 320Kbps or FLAC download! All for $39.99 (+$10.00 shipping). Whew! It’s pretty obvious that Wendy & Lisa have been paying attention. They are self-releasing this album and providing tiered options for people to purchase. Frankly, the pricing is about right as well. This approach seems to cover the interest of any fan from casual to collector. The digital downloads are available right now for any of the purchases and the CD’s and Deluxe packages will ship in March. Click Here to visit Wendy & Lisa’s website where you can order White Flags of Winter Chimneys. They are also streaming other tracks from the album in an embedded player. Click Here to visit Wendy & Lisa’s MySpace page. Click Here to read my interview with Wendy & Lisa. The Time to play b-sides archives for the wendy-lisa tag.